How does the glaucoma develop? What can one do to avoid glaucoma? Eye pressure is measured with a tonometer that is placed on the eye for a few seconds. Because eye drops are first applied to numb the eye, you do not feel the tonometer touching it. You do see a bright blue light approaching. The tonometer gently pushes a little bit against your eye. To what extent the tonometer can indent the eye depends on the eye pressure and that is how it is measured. Another type of tonometer applies pressure to the eye with an air puff. The advantage of this method is that it is not necessary to numb the eye or to touch it, the disadvantage however being that measurements are less accurate. 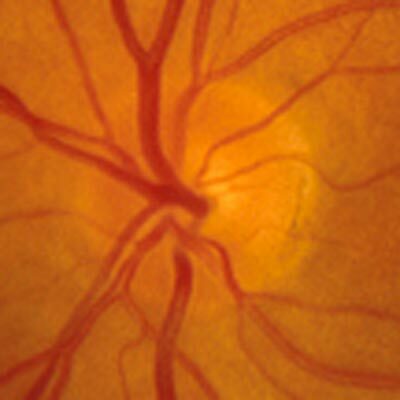 Using an ophthalmoscope, your eye doctor can look at your optic nerve and evaluate its cupping. Progressive cupping of the optic nerve, documented during consecutive exams, is a sign of loss of optic nerve fibers and worsening of your glaucoma. Sometimes an eye drop is applied to open the pupil and allow full view of the optic nerve. In that case, vision is slightly blurred for about 2 hours, disabling you to drive a car. Modern imaging techniques allow for early detection and detailled follow-up of nerve fiber loss. This scanning technology uses light waves and is thus completely harmless. The perimeter is used to check the damage to any area of vision. 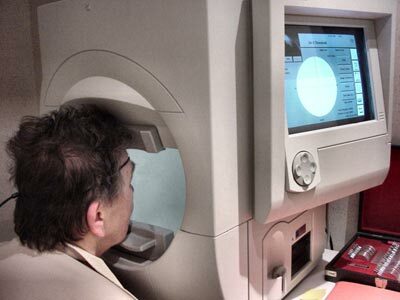 This test can detect visual field loss long before you are able to observe it yourself. The perimeter is a hemisphere against which small lights of variable size and intensity are projected, one by one. You are asked to place your chin on a stand, sit still and look straight ahead to the center of the hemisphere. You have to press a button every time you see a test light. It can take up to about 10 minutes to test one eye. Obviously your cooperation and attention is needed. After the test, the computer processes and stores the data. By using a gonioscope after application of a drop to numb the eye, your eye doctor can see the angle between the cornea and the iris over the entire 360 degrees. This helps in finding the cause of your glaucoma. If you have a thick cornea, the tonometric reading of your eye pressure will be higher than your actual eye pressure. Vice versa, if you have a thin cornea the tonometer will underestimate your eye pressure. Corneal thickness can be measured with an ultrasound probe or with an optical device. Both methods are quick and painless. Because corneal thickness does not change over time it only needs to be measured once. How often are these tests repeated? Depending on the gravity of the situation, tests are repeated one to four times a year so that treatment can be initiated or changed timely. 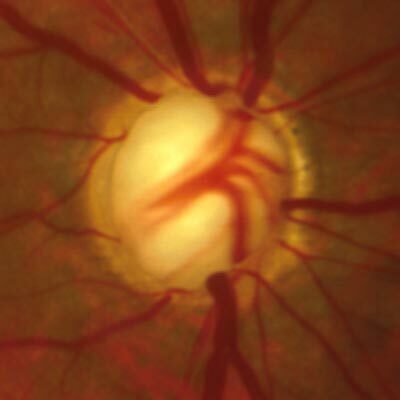 Once the situation appears to have stabilized under the treatment, measurement of eye pressure and ophthalmoscopic evaluation of the optic nerve twice a year will be sufficient. It remains necessary to test the visual field every year. 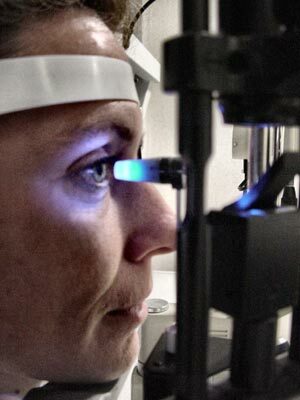 Depending on the results of these tests, your eye doctor will decide when to use imaging techniques.